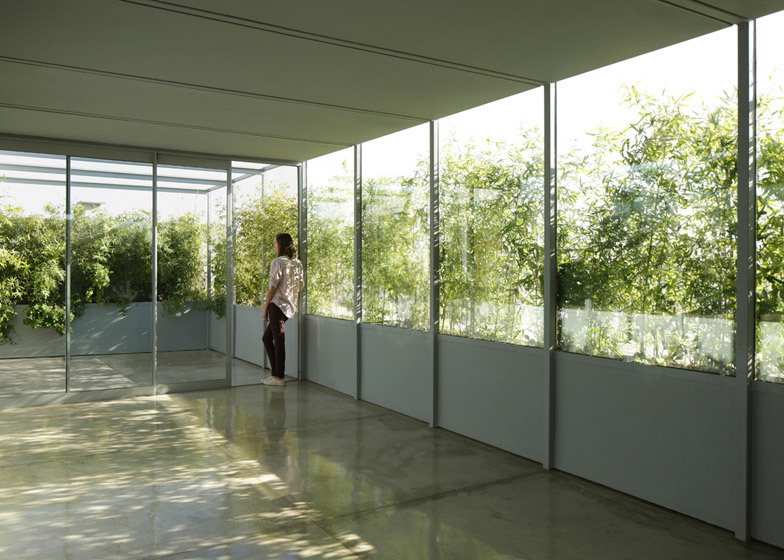 Architecture studio Adamo-Faiden has transformed the vacant roof of a 15-storey block in Buenos Aires into a home for a young couple, by installing a glazed pavilion-like structure surrounded by plants (+ slideshow). 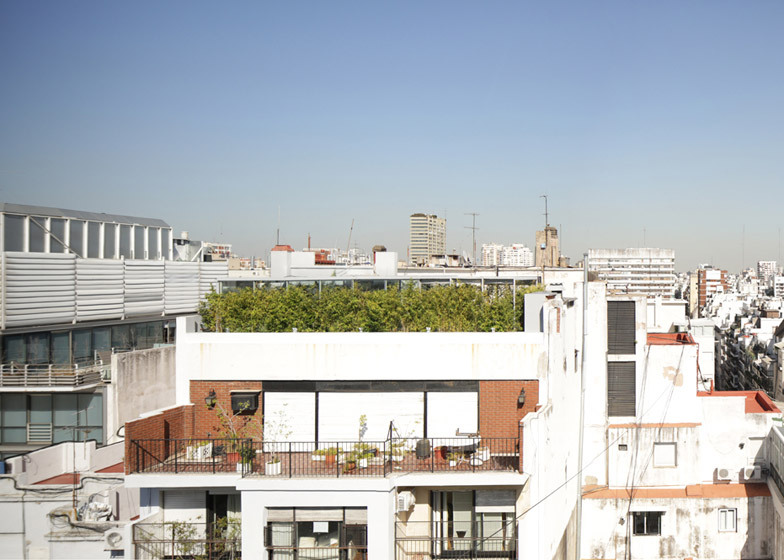 The upper level of Piñeiro House, a block in the city's Recoleta neighbourhood, was one of the thousands of underused flat rooftops on residential buildings in the Argentinian capital. The clients purchased the space with the view to transform it into a small home. 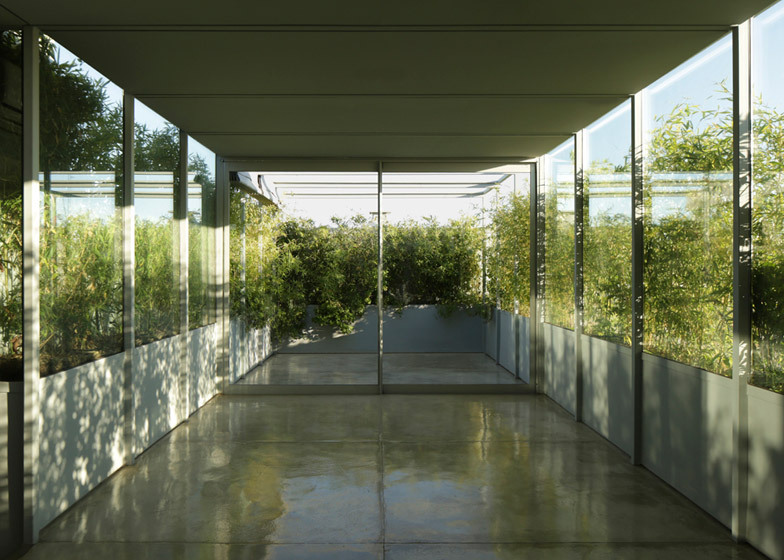 To achieve this, local architects Sebastian Adamo and Marcelo Faiden affixed the greenhouse-like structure to the existing enclosed service space and stairwell. 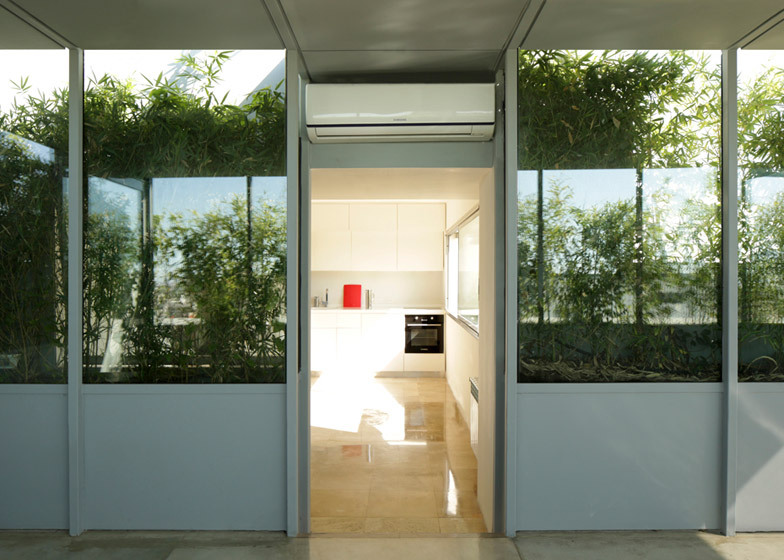 It provides an additional 20 square metres of interior space and a 10-square-metre terrace. Planting boxes were added around the edge of the roof to create a hedge. 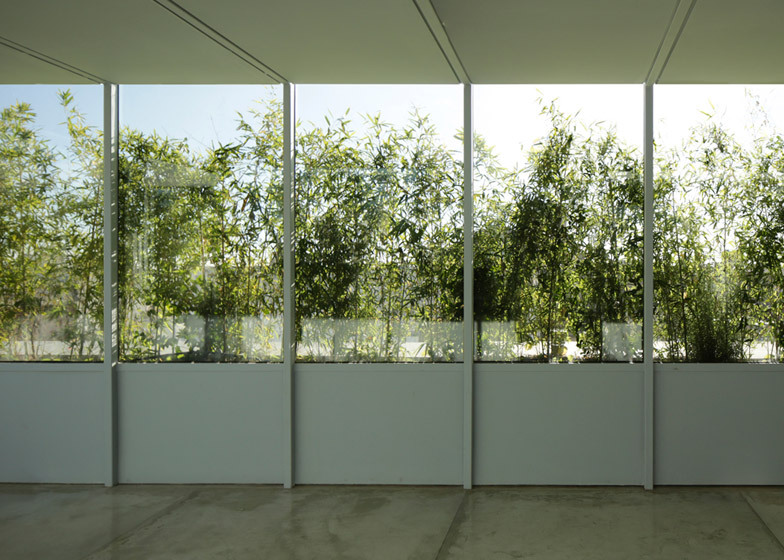 This offers privacy and shade during the sunniest hours of the day. "It is possible to describe a new territory made of insulated enclosures in the air," the architects told Dezeen. "They are roofs and service terraces, the infrastructural part of the buildings that dominate the landscape of Buenos Aires." "These spaces are privileged places," they added. "When we conquer them, we manage to lay ourselves on the edge of the town in contact with the atmosphere." The new indoor area is used by the clients as a music room, while the outdoor area is furnished with seating and a desk. Further rooms including a kitchen are located within the pre-existing structure. The project is the latest in a series of rooftop interventions by the architects, including a courtyard added an ageing Buenos Aires townhouse and a fabric tensile structure built above a renovated apartment. The architects said they are continually driven to build upwards by a desire to make use of the disused rooftop spaces and to question the typical horizontal sprawl of south American cities such as Buenos Aires. "If we consider the sustained verticalisation of urban centres and assume the architectural potential in which infrastructures are being addressed," said Faiden, "we will discover a powerful solvent capable of diluting the bi-dimensionality in which our cities are organised."